As with many significant and historical events, the Iranian president’s visit to Italy and the Vatican City. The visit from Iranian President Hassan Rouhani is a historic one; this is the first time in nearly two decades that an Iranian president has met with a Roman Catholic Pope. According to The New York Times, the meeting was intended by the Vatican to be a dialogue on interreligious tolerance and peace, and to explore Iran’s important role of stability in the region. The meeting between the two lasted about 40 minutes. The New York Times says that the Iranian president shaking hands with Pope Francis is a tremendous step forward for Iranian-Western relations, especially riding the coat-tails of the lifted sanctions on the Middle Eastern country on Jan. 16. The website of L’Agenzia di Viaggi Tourism Organization for instance in an article titled ‘Everyone Eager to Visit Iran’ wrote that tourism will be a major area for cooperation with Iran in the post-sanctions period for the European Union countries. President Hassan Rouhani said on that Tehran welcomes expansion of cooperation with Italy. He said that Italy was Iran’s first trade partner among European Union states for several years and the time has come to assume the position again. Can you imagine yourself in a gondola at sunset? Having lunch at a Tuscan farmhouse? Seeing the David and the Sistine Chapel with your own eyes? Swimming by the Faraglioni in Capri? Attending an opera at La Scala Theater? Hiking around Lake Como, the Cinque Terre or the Amalfi Coast? How about visiting the Greek temples in Sicily? Shopping in via Monte Napoleone in Milano? You are in the perfect place to make your dream vacation become a reality. For centuries, travellers have visited Italy to experience the country’s rich culture and to fall in love with the scenic beauty, the art, the cuisine and the people. At VIP Racing Service you will find creative vacation designers, experts in Italy travel, who will make your dream trip a reality. 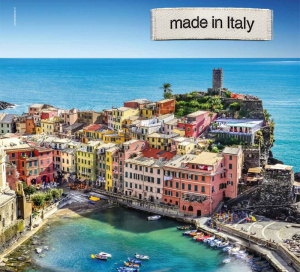 Immerse yourself in the beauty of Italy: a vacation for your soul. Italy has a long recorded history that the biggest problem facing the traveler is to choose among the nation’s endless cultural attractions. All main centres, most of the provincial cities and many quite small towns have museums. Of all the countries in the worls, there is none more magical than Italy, a traveler’s dream destination. Ancien monuments and archeological sites are perfectly preserved; the museums are bursting with the genious of Italy’s finest sons: Raffaello, Michelangelo, Tiziano, Canova; contemporary architects are still inspired by ancient buildings and squares (piazze). Italian cities are veritable living museums. According to UNESCO, the United Nations’ cultural branch, two thirds of the world’s historical artistic heritage are in Italy. Tuscany, which is only one region of Italy, by itself possesses more artistic treasures than the whole of Spain, which is the second country in the world for cultural heritage. Practically all major styles of Western architecture can be found in Italy. Italy is, for many people, synonymous with fashion. It’s only logical, therefore, to incorporate a bit of shopping into any trip to Italy. But between the often not-so-fantastic exchange rate with the euro and the high price tags of the top Italian designers, go back home with much more than a single fashion purchase can be a challenge if you’re not traveling with a big budget. Most Italians don’t buy brand name clothing at the flagship stores in Milan, however – and you don’t have to, either. Let’s go shopping in Italy! Prada, Armani, Gucci, Fendi – you’ll find fabulous designer clothing at bargain prices on this not-to-be-missed shopping tour. With your transport arranged, you can sit back and enjoy a hassle-free shopping trip to Italy’s famous discount outlets, and pay up to 50% less for the world’s most prestigious designer labels. Calling all Shopaholics! Travel in style as you visit the outlets of the most prestigious fashion companies. You’ll have the opportunity to hunt for bargain steals with reductions from 30% to 50% off the recommended retail price. In addition to exclusive discounts, non-EU citizens can make their shopping experience even more rewarding by receiving a tax refund on products purchased at the Outlets. your receipts and your passport. They will validate the refund. At VIP Racing Service the Iranian Tourists will find Italy travel experts who will help you with your trip planning. Whether it is a multi-city tour or a more relaxed vacation with free time to explore on your own, VIP Racing Service will handle all details of your journey. We select choice hotels, highest rated tours, unmissable destinations and we will guide the Iranian tourists through all the incredible experiences Italy has to offer. Our expert travel advisors are ready to help you.